Have you ever had one of those instances when things just snowball out of control, but in a good way? I had one on a recent Sunday morning. 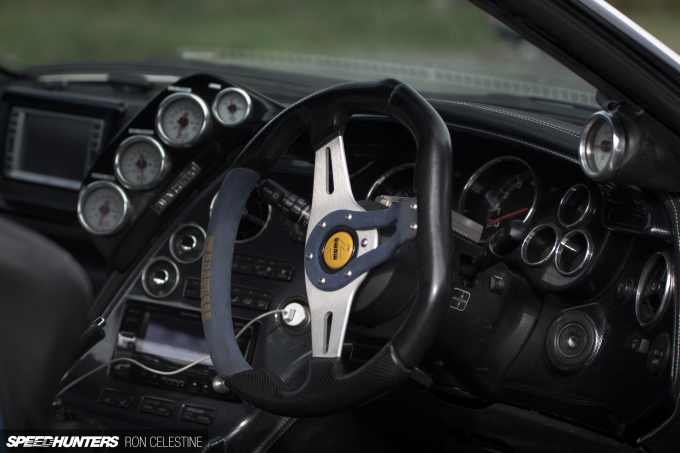 The day started out like any other with a Speedhunters shoot planned – waking incredibly early to pack up all my camera equipment, and then heading straight out to the location. 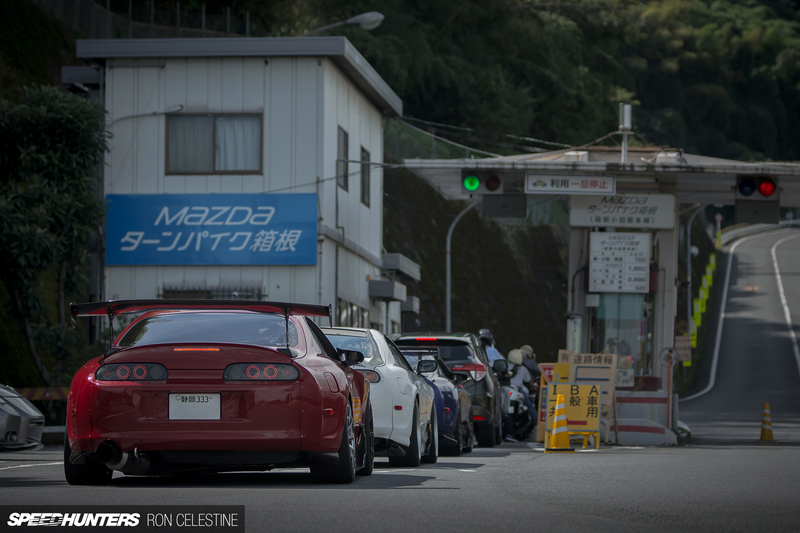 My destination this time was the Mazda Turnpike in Hakone. 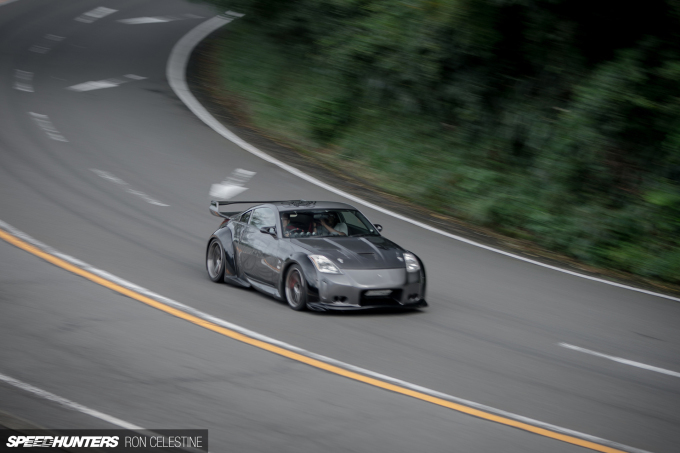 The famous Turnpike is a motoring enthusiast’s paradise with silky smooth tarmac, constant elevation changes, beautiful views around every corner and a seemingly endless supply of switchbacks. Being relatively close to Tokyo, the privately owned toll road is the perfect place for anyone looking to test not only their machine’s capabilities, but also themselves as a driver. It really doesn’t get much better than this. 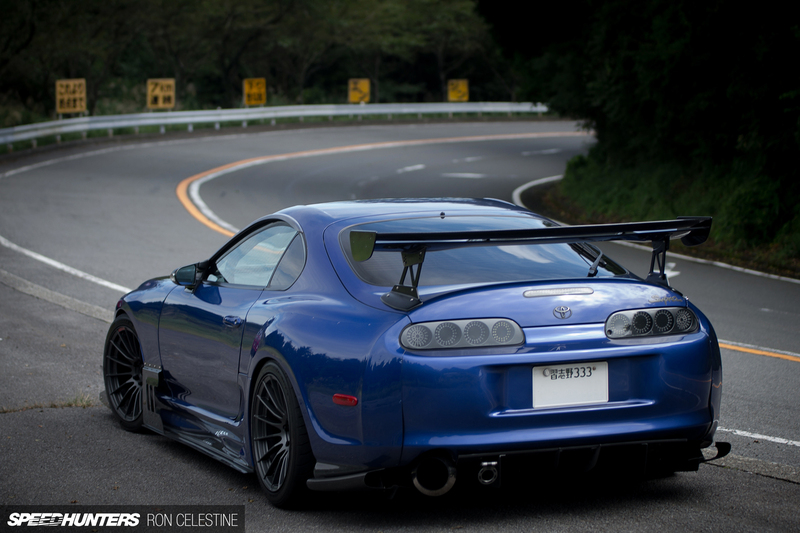 The Turnpike is also a great place to photograph cars, so when the opportunity to shoot a certain 2001 JZA80 Toyota Supra RZ-S came up, its owner, Hiba-san, was more than thrilled about the idea. 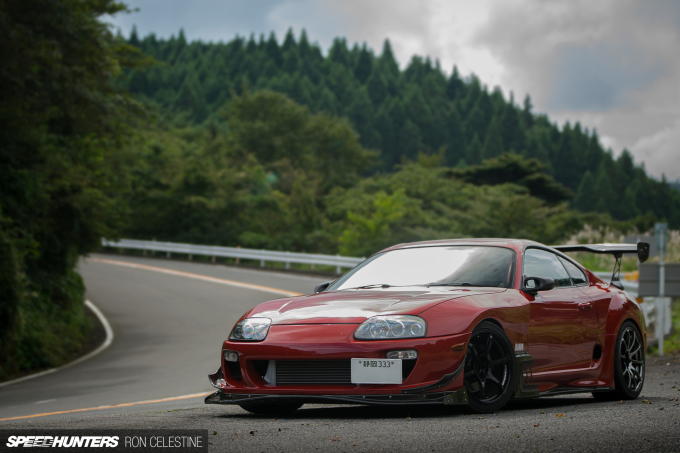 In fact, he was so thrilled that he told some of his good friends what was going on, and the next thing I knew, our one-on-one session had grown by three more JZA80 Toyota Supras and a Z33 Nissan Fairlady. 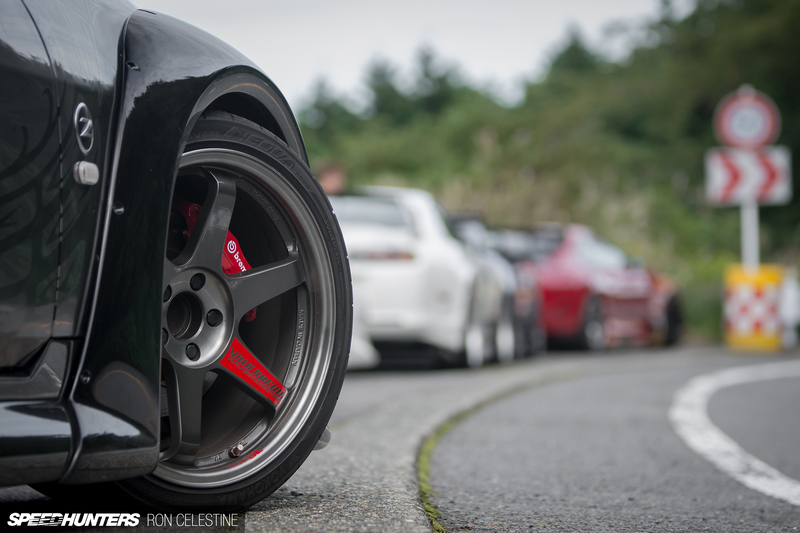 With five cars to work with and a somewhat tight schedule, I quickly came up with a new strategy – shoot Hiba-san’s RZ-S, then grab a few extra shots of each of his friend’s machines. 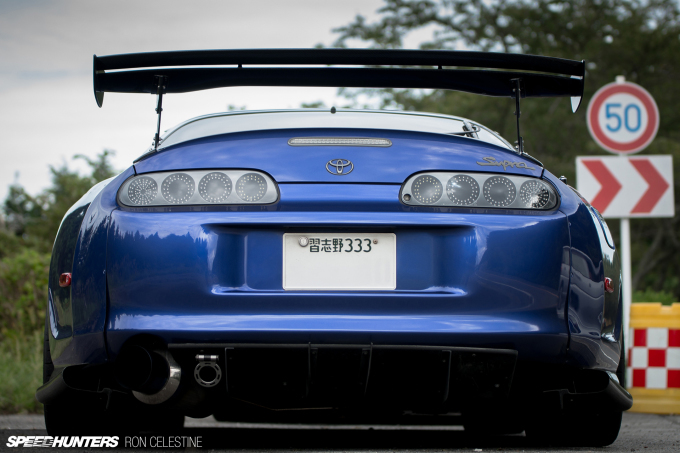 For Hiba-san, it all started a little over 10 years ago when he searched out and purchased his first sports car, an early Supra. 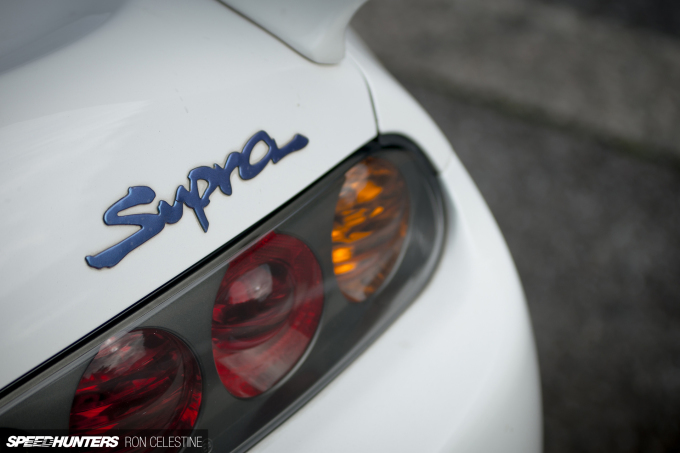 The car’s classic styling cues and the joy of a manual transmission completely won him over – he loved everything the Supra stood for. 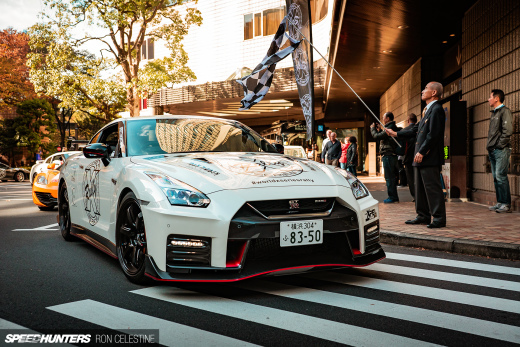 Not surprisingly then, when the time came to replace a later-purchased Toyota Mark II in 2009, there was only one car that was going to cut it, and you’re looking at it now. 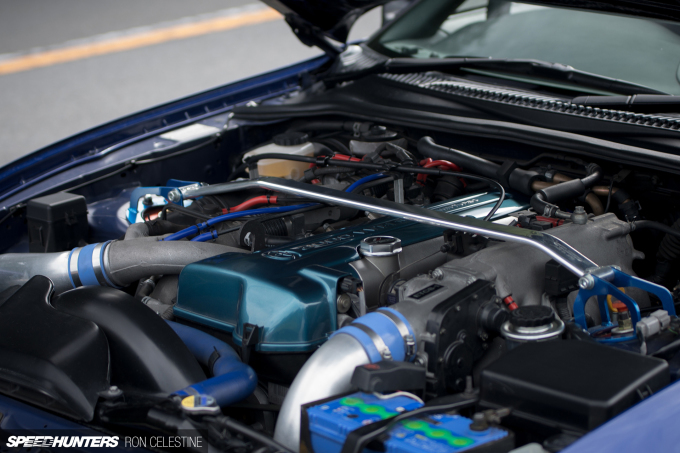 The RZ-S was never going to stay stock for long though, and the first thing Hiba-san decided to do was give the 2JZ-GTE a complete overhaul. 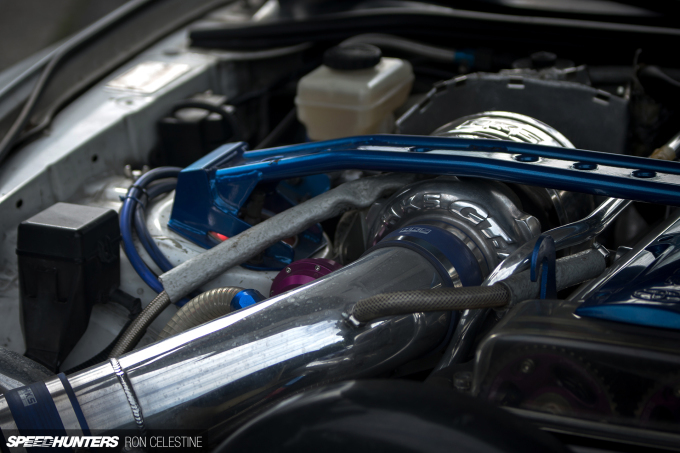 Having played around with his Mark II for a while, he had become pretty familiar with the 2JZ and knew what needed to be done to achieve his 500whp goal. 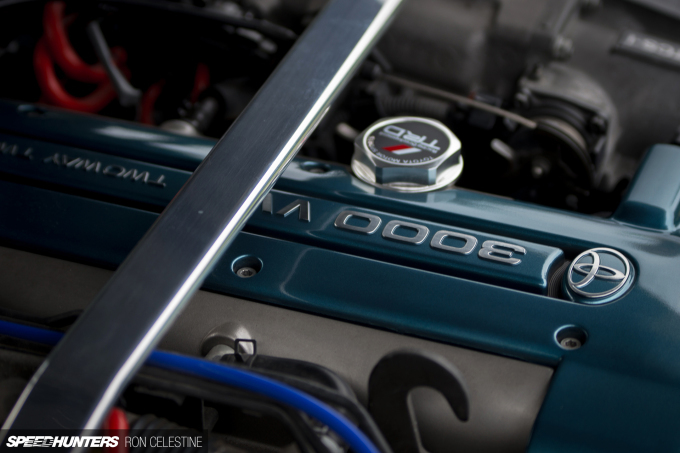 Modifications to the 3.0-liter VVT-i straight-six include an extensive cylinder head port and polish, bigger valves, rebuilt turbos and a Trust front-mount intercooler. 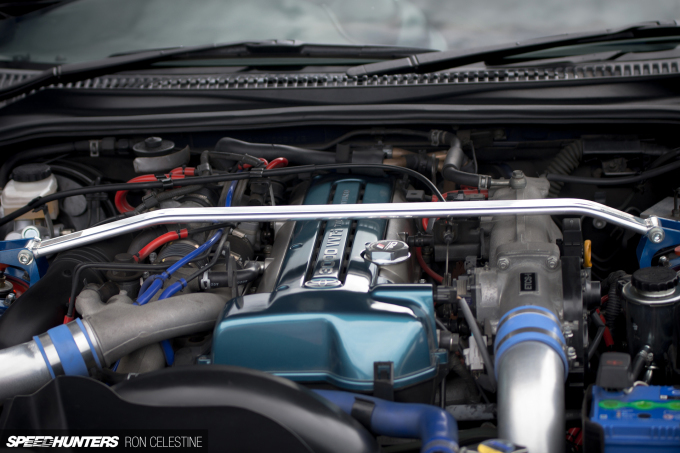 Blessed with a Getrag V161 6-speed gearbox from factory, all Hiba-san had to upgrade in the driveline was the clutch and LSD. 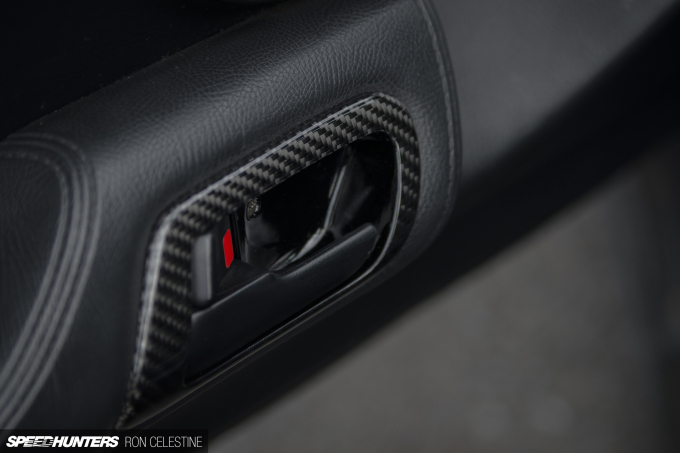 The fitted ATS Spec II carbon twin-plate provides excellent response and lighter effort throttle blipping on downshifts, and coupled with an OS Giken limited slip differential makes attacking the Turnpike all the more fun. 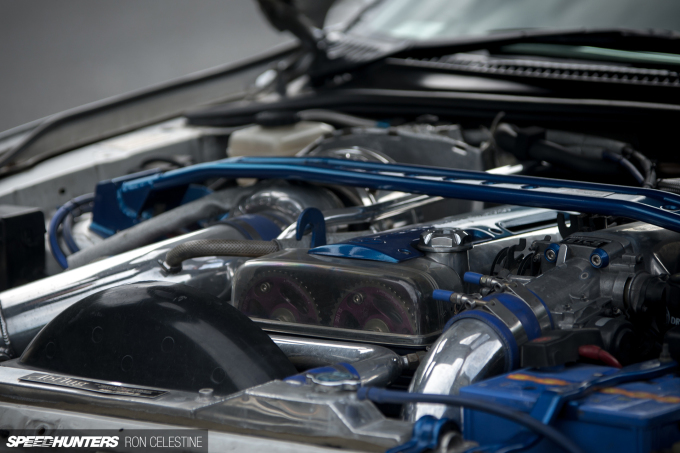 With the engine overhaul complete, the next step was to sort the suspension. 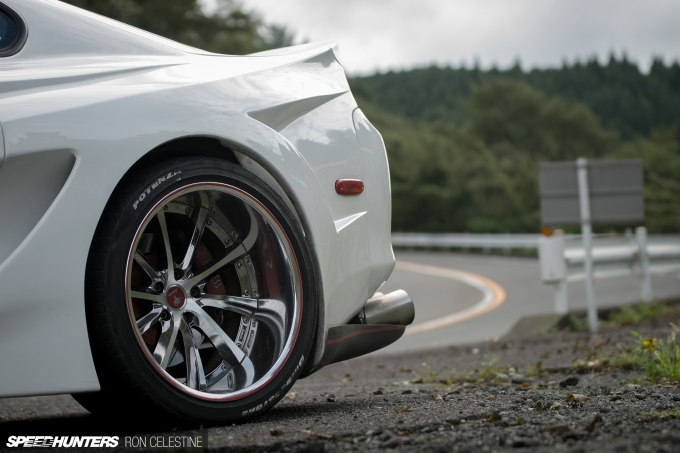 More in tune with function over form, Hiba-san installed Aragosta coilovers and Ikeya Formula upper and lower front arms. 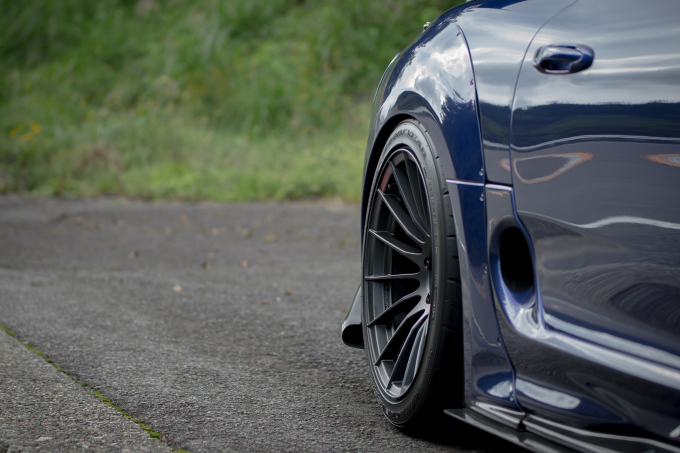 Lightweight Enkei RS05RRs are the wheel of choice, and they look superb in their 18×10-inch (front) and 18×10.5-inch (rear) fitments. 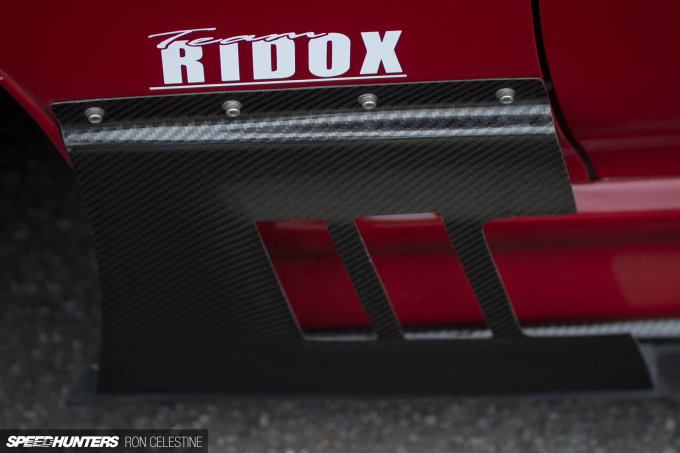 The real talking point of the exterior however, has to be Manabu ‘Max’ Orido’s complete Ridox aero kit. Despite adding a lot of circuit-style aggression to the JZA80, the kit does so without ruining the Supra’s lines, and that made it the perfect choice for Hiba-san. 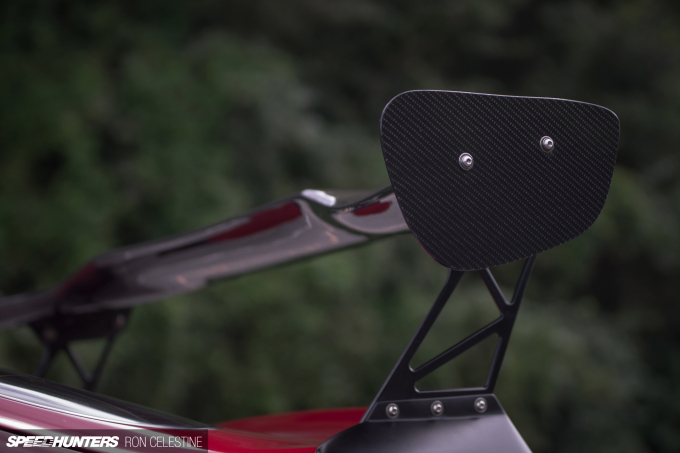 Oh, and this being Japan, you can’t possibly forget the almost mandatory GT wing, in this instance a Voltex carbon fiber item. 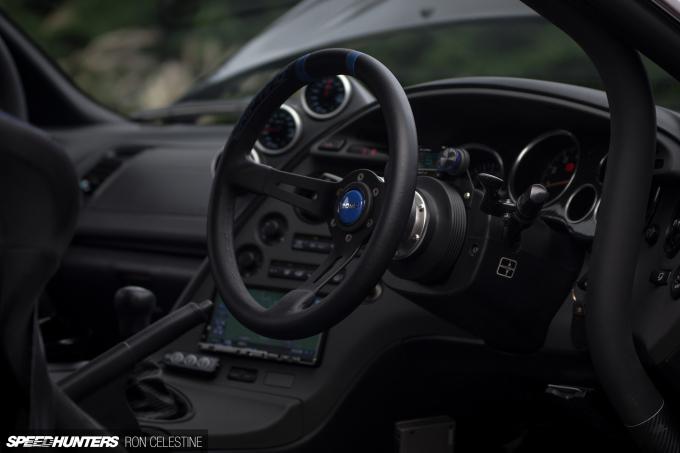 Just like the exterior, the interior has been thoughtfully updated. 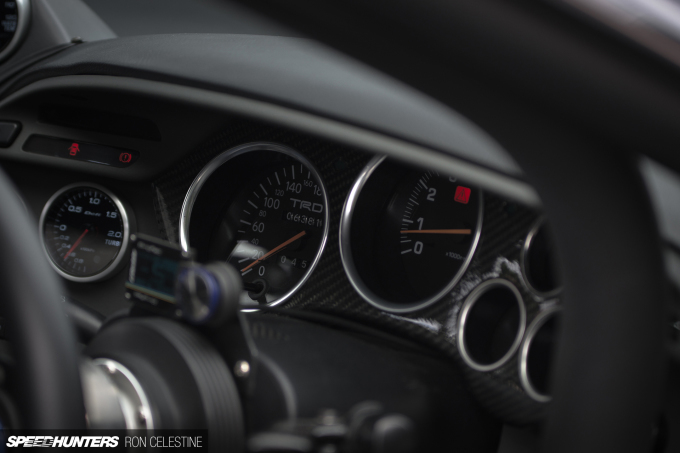 There’s a 10-point Saito roll cage, Recaro Sports RS seats, a Momo steering wheel, TRD meter, and a trio of Defi gauges. 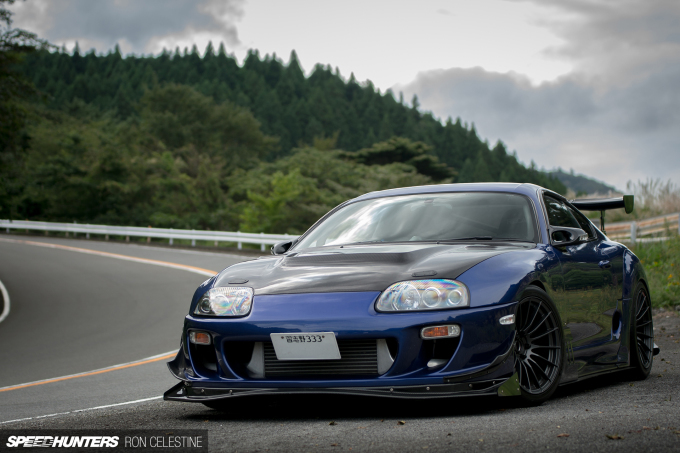 It’s taken a little over six year to get the Supra to where it is now, and I have to say, the build is a real favorite of mine. 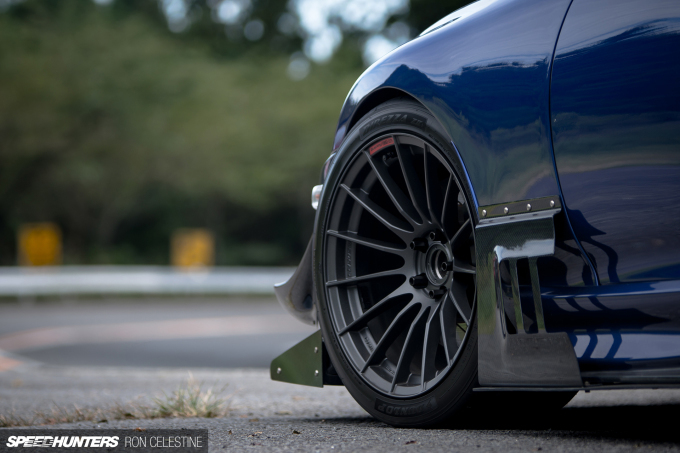 Because Hiba-san hasn’t gone overboard with the sort modifications and power output that can only be appreciated on the track, it’s a really fun car to drive on the street. Yes, to test the car at its limit you’d need a circuit, but just driving up and down the Turnpike will put the biggest grin on your face. 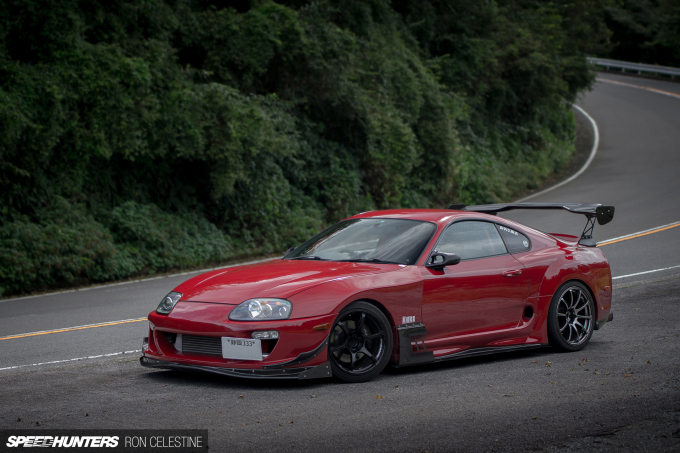 First up is Masukono-san’s JZA80 Supra, which just like Hiba-san’s features aero upgrades from the Ridox catalog. 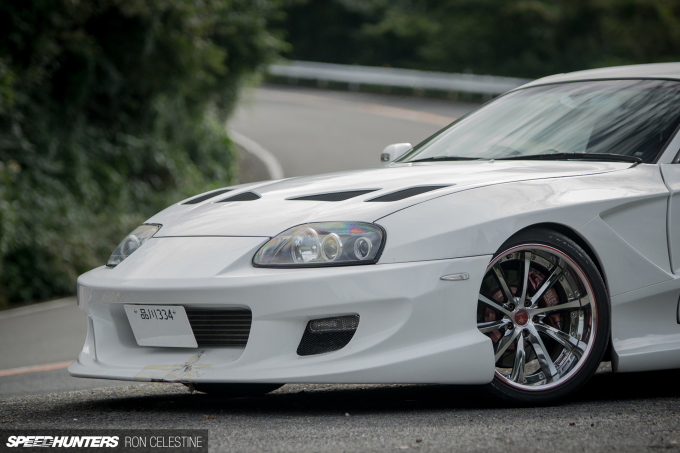 For this build though, keeping the Supra’s factory lines intact wasn’t so much of a priority, and to help toughen up the look of his JZA80, Masukono-san’s fitted Max Racing front fenders. 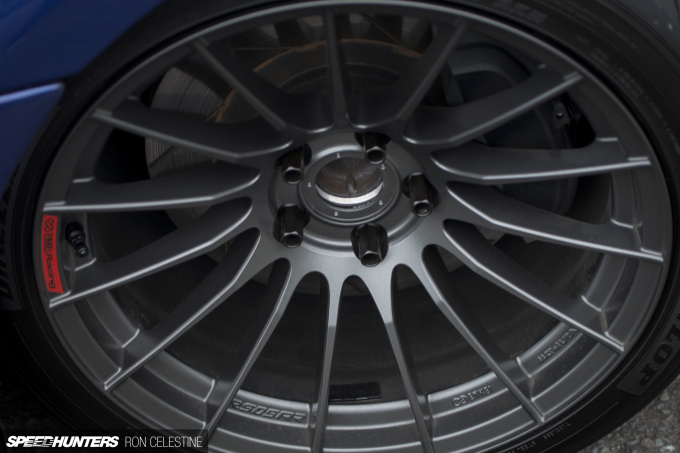 In the wheel department, you’ll find Yokohama Advan RGIIIs and Yokohama Advan RSs front and rear respectively, all wrapped up in Dunlop Direzza ZII Star Spec rubber. 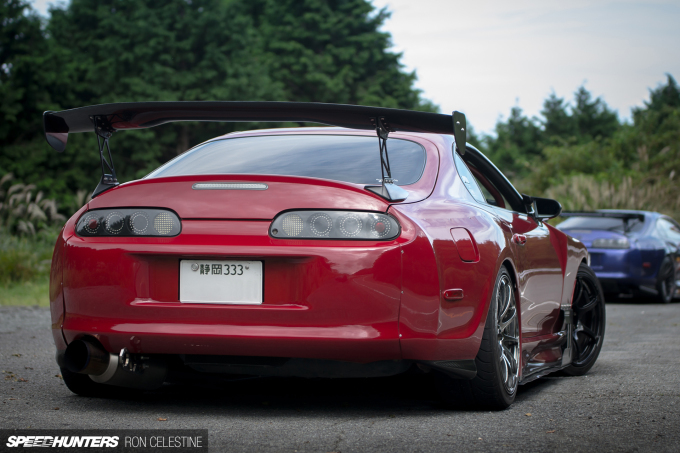 Not to be outdone by Hiba-san’s Voltex wing, a fairly large GT wing can also be found on Masukono-san’s JZA80. 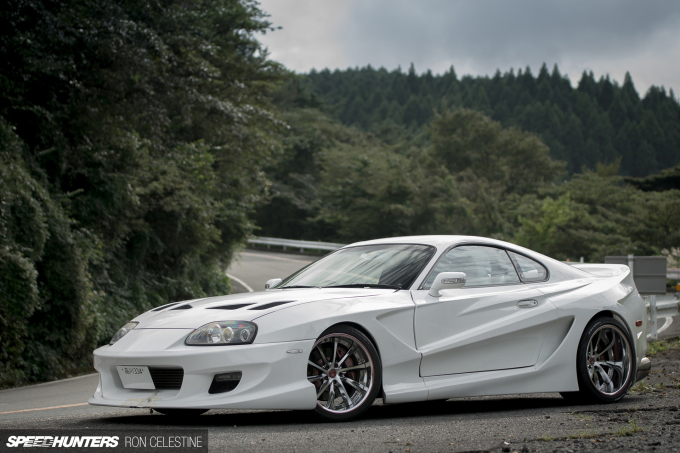 Next up, it’s Seijiro-san’s 1998 JZA80, which in comparison to the other Supras in this group is the least modified of the bunch. It still looks pretty tough though, right? 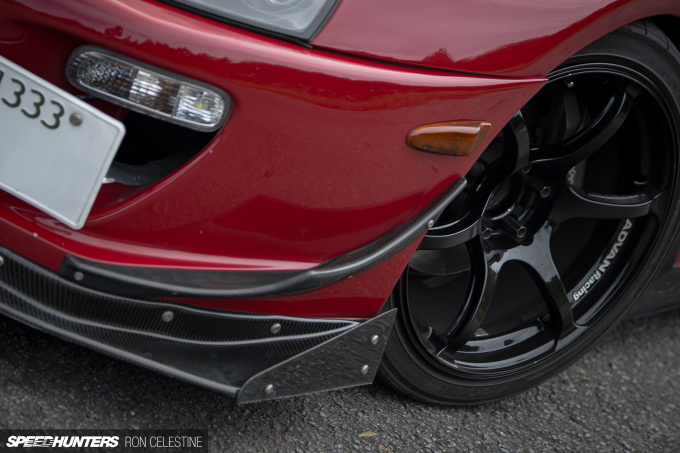 Seijiro-san’s car too features a few Ridox aero parts, but it’s the Durakku front bumper and Ridokkusu side steps that have the biggest impact. 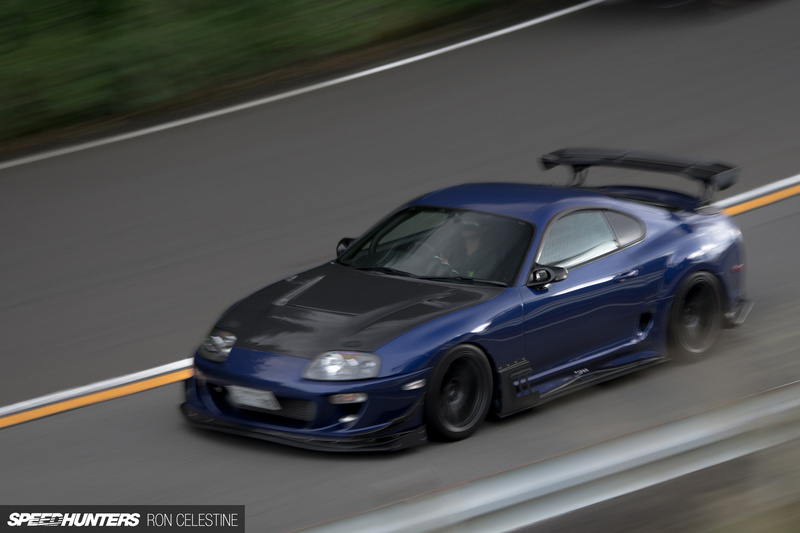 Being one of the louder cars, the 2JZ roar emitting from the Kakimoto Racing exhaust echoed through the hills as the Supra made some fly-bys. 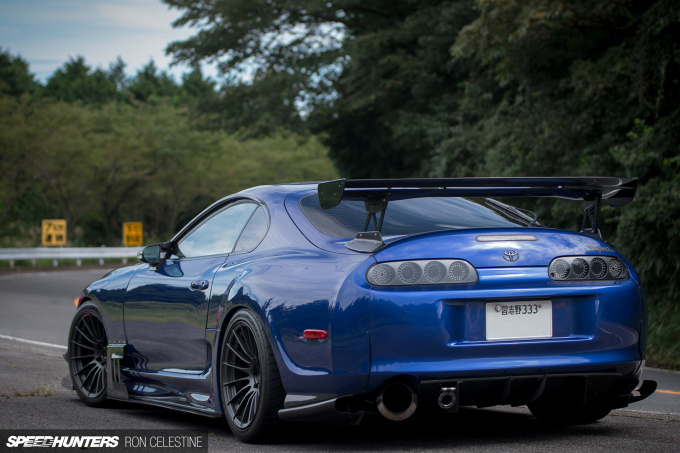 The last Supra belongs to Zephyrus-san, and from a bodywork perspective it’s definitely the wildest of the bunch. 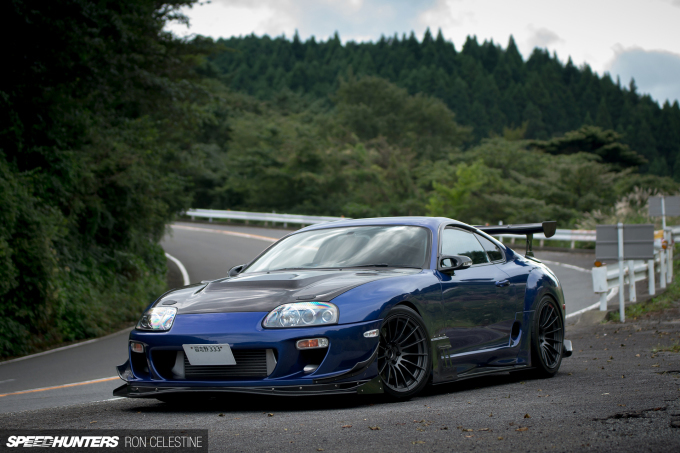 It’s all thanks to an Abflug Super 900 aero kit, which takes the Supras lines and goes crazy. 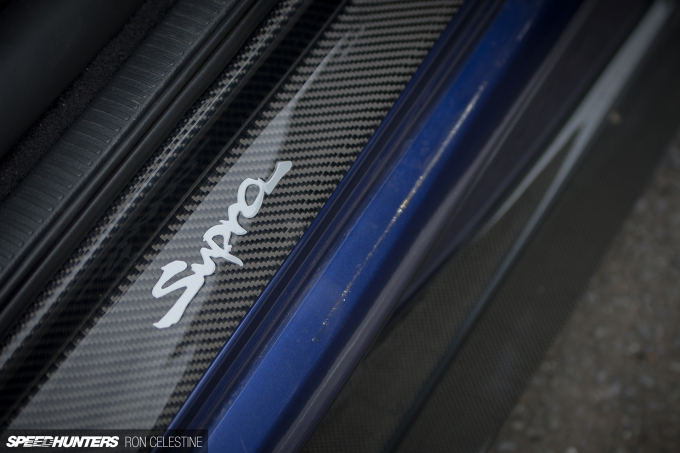 While I was sitting back trying to digest it all, Zephyrus-san pointed out some custom work that was made to the rather pricey kit. 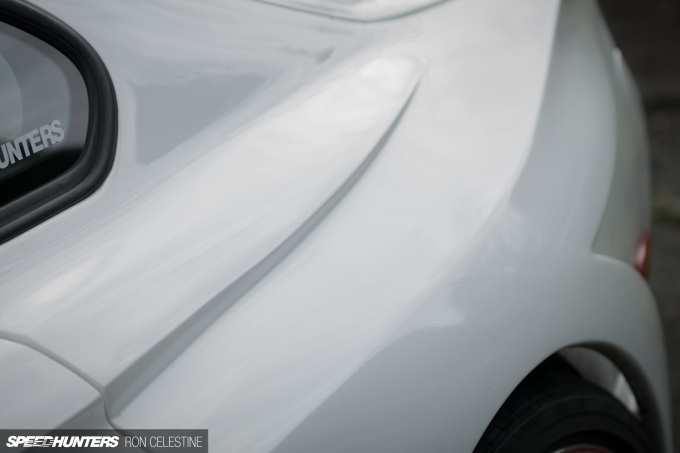 Wanting the body line from the kit to continue from the front fender to the rear spoiler, he simply cut out a chunk of the rear fender for a unique look. 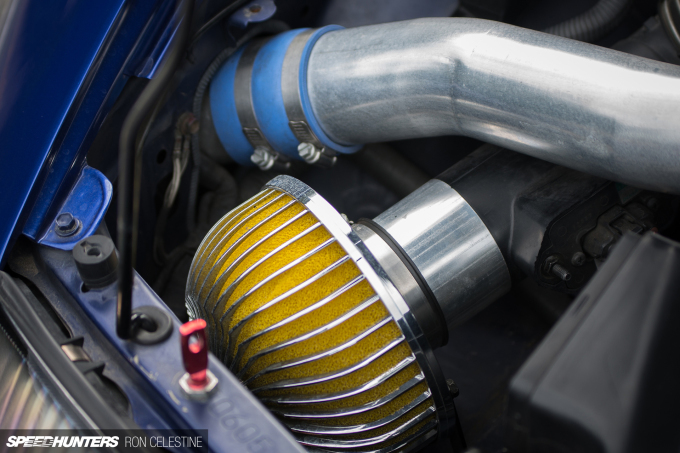 Things got even more interesting when he decided to show me what was hiding underneath the hood – this time a polished-up 2JZ fitted with a big single HKS GT3037 Pro S turbocharger among other power-making upgrades. 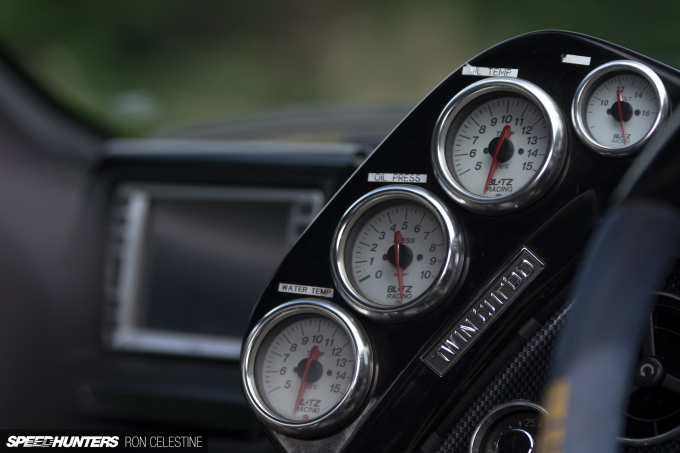 Similar to the interior of Hiba-san’s JZA80, a vast array of gauges ranging from oil and water temperatures to boost are all aimed at the driver. 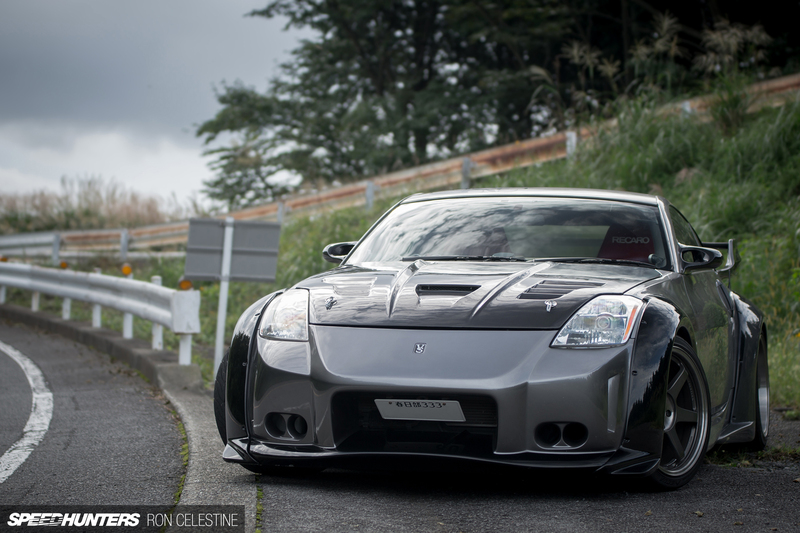 Last but not least, it’s the odd one out – Oe-san’s Z33 Nissan Fairlady. Before purchasing this Z33, Oe-san owned a 900whp JZA80 that he used to drive on a daily basis. Yes, daily. 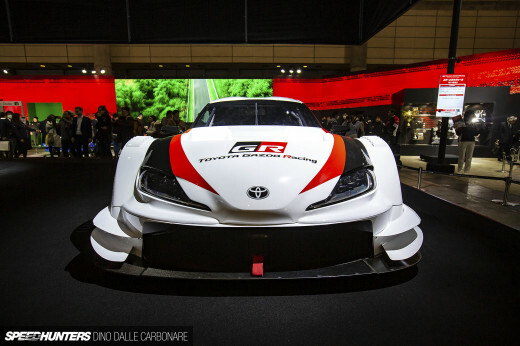 As one would imagine, commuting around Tokyo in a car with that much power would get old very quickly. 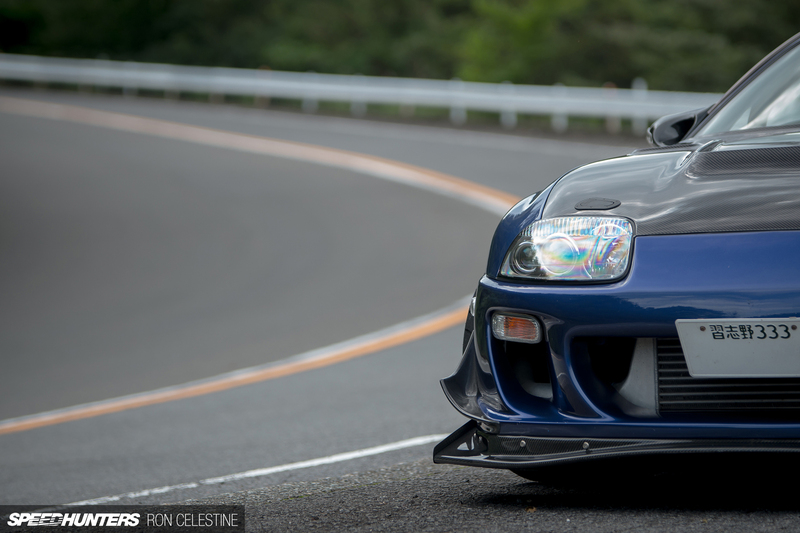 Despite its looks, the Fairlady is tame by comparison. 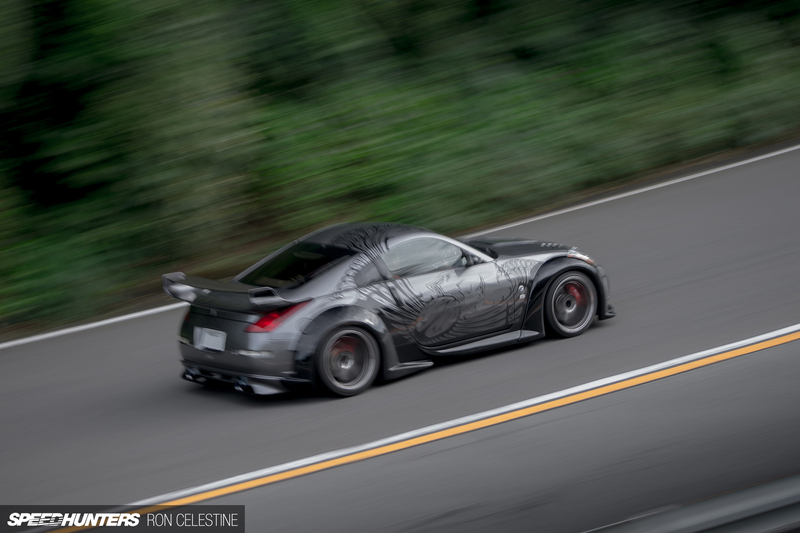 The Z33 has been fitted with a complete Version 3 Veilside wide-body aero kit, and has a real The Fast and the Furious: Tokyo Drift theme going on. RAYS Volk Racing TE37SL wheels measuring 18×9.5-inch in the front and 18×10.5-inch in the rear work amazingly with the Veilside kit, and are a vast improvement over the 19-inch Veilside Andrew Evolution Vs wheels that ‘DK’ rocked. With the day coming to an end, it was time to bid everyone farewell and start making my way back to Tokyo before the expressways clogged up with people returning from their weekend excursions. 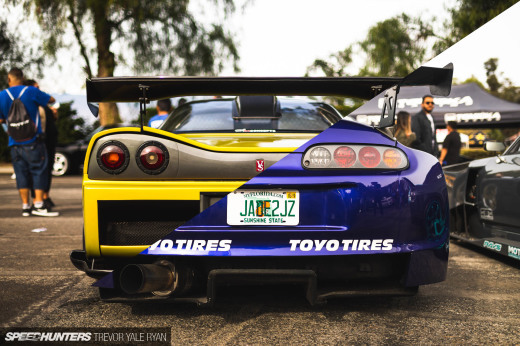 It doesn’t get much better than spending a Sunday up on the Turnpike with five cars to shoot, but which one is your favorite? 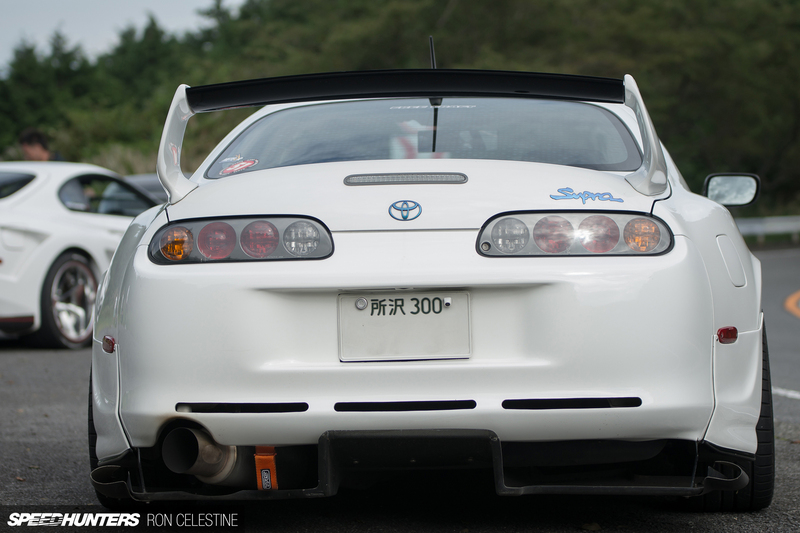 too much Supra's is good for the health . There is this guy in my city that drives a z33 with the same veilside body kit on it with a crappy paint job and the panels are coming off. I know its his car and his money and he can do whatever he wants too it but every time I see it I turn away cause he ruined that car. 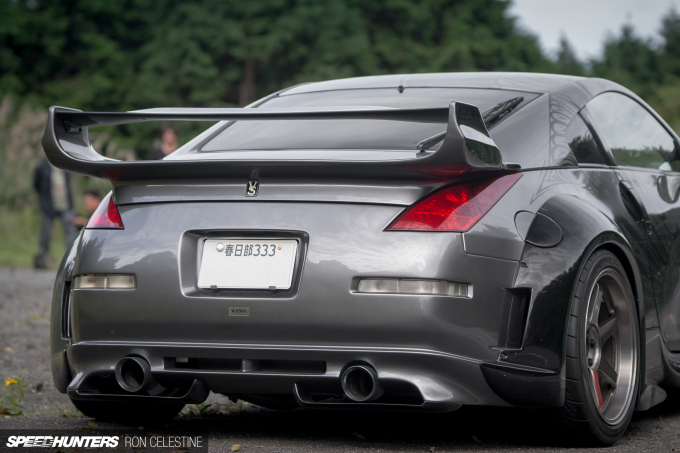 The z33 doesn't need a bunch of flashy crap on it to break necks, it does it on its own in stock form but that's just my opinion. 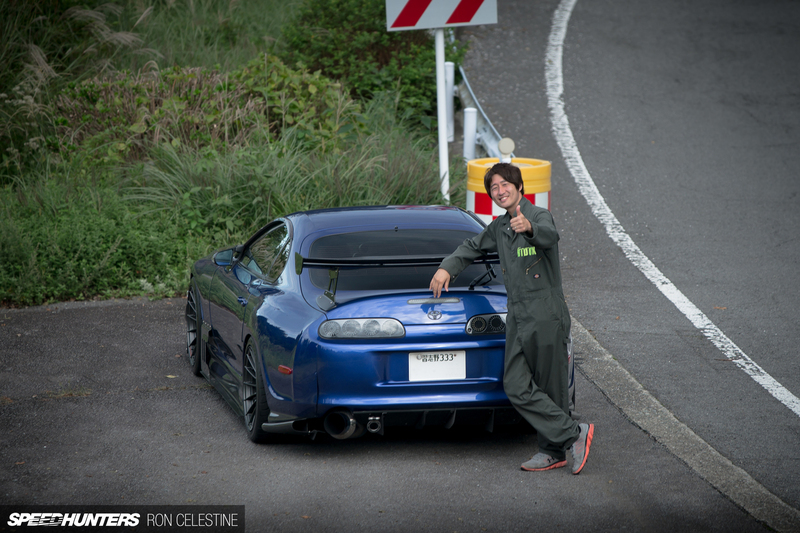 Hiba-san's perfect for me, although for a Supra, it still can't beat my favourite: Orido's own drift car. I am alarmed that any one can profit $7872 in a few weeks on the internet . Glad you found my video! Well.. my team's video at least lol Did you like it ^^? I personally think the MK4 looks best being stock, with a lip, lowered and some nice wheels. All of these wings, gills, vents, etc are just too busy for the silky smooth original lines of the car. Just my $0.02. Ron Celestine For sure, Its funny cause I watched this last night. 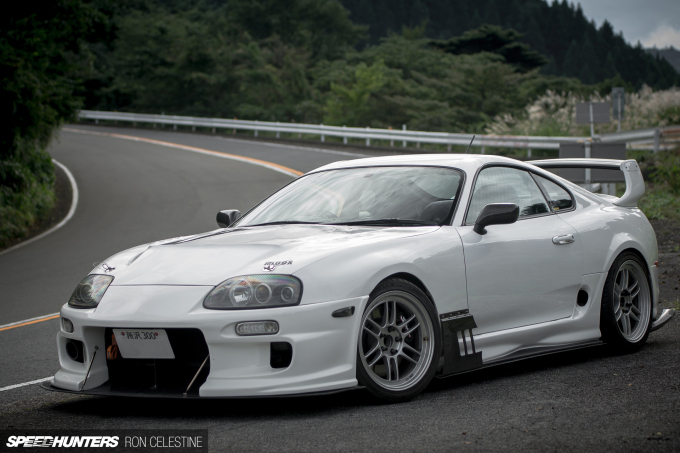 Then to open up Speedhunters this morning and seeing his Supra being the first feature of the day. I knew I had to post the video!! JustinHPG Hahaha that is funny! That was a project we worked on a while ago too so I'm glad you found it and uploaded it ^__^ Cheers for that! Ron Celestine Yea, been a subscriber for TokyoTuner for a while. Watched all the videos at least a dozen times. Its hard to find videos that have higher standards in both Video editing and complete car quality. Can't wait for the next videos. 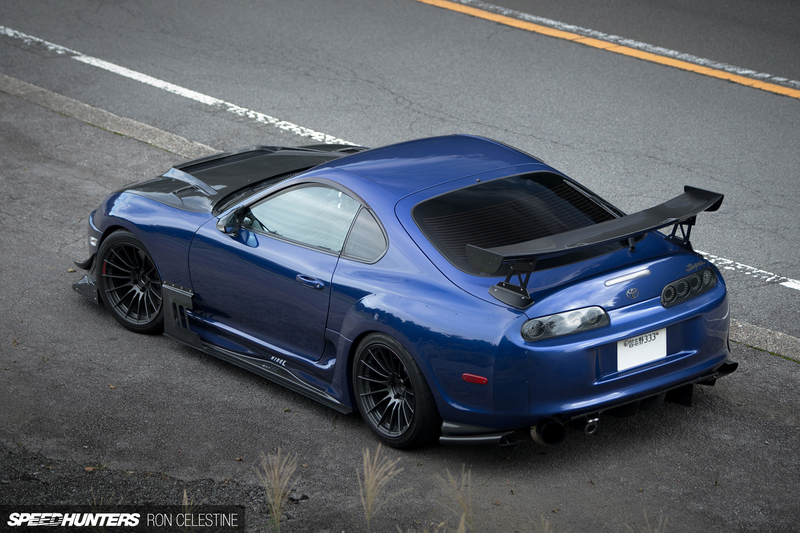 I remember first seeing that Abflug kit in Forza Motorsport and being blown away. Still love it! 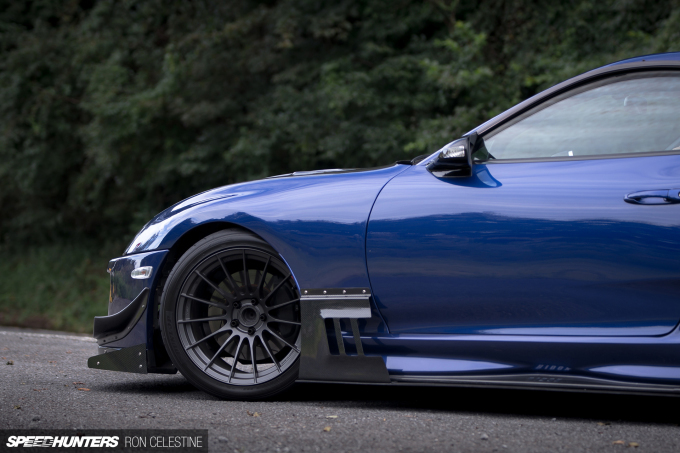 The blue one is just perfection though. New desktop! 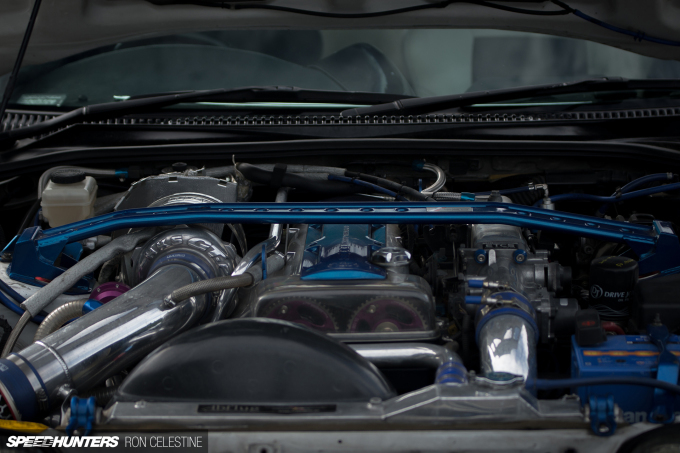 Ron Celestine That's the feeling I'm getting right now, too; I want to go find one right now! 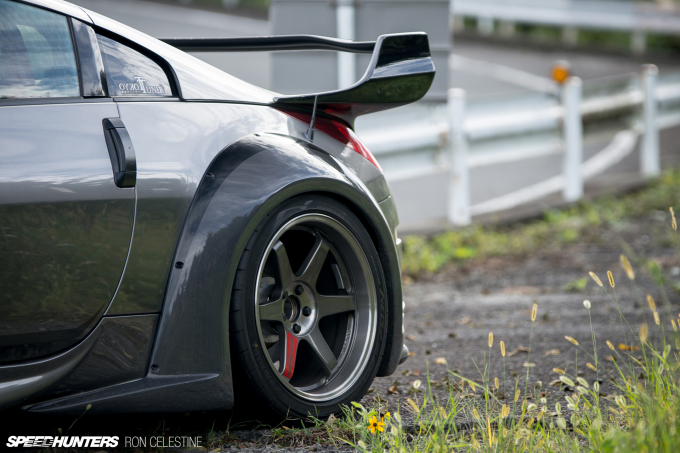 I think it's the rear over fenders that do it for me, compared to the other two similar cars. 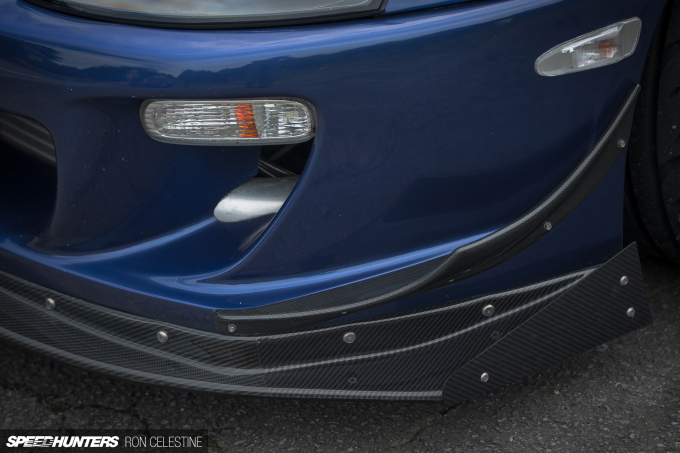 They beef up the rear end while not taking away from the stock lines at all. Beautifully done all around. JustinHPG Thank you! We have two in the process right now and hopefully we can release them this month! 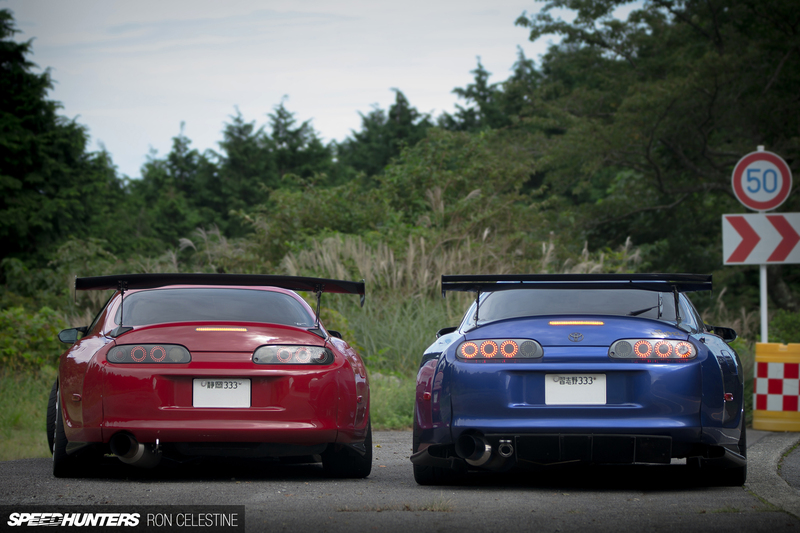 The blue one is the best, but the red one is very close to perfection as well. 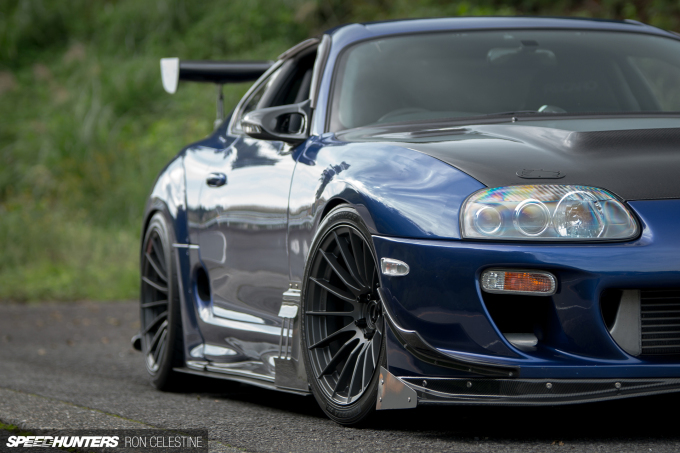 I love how he combined the front and rear wheels. 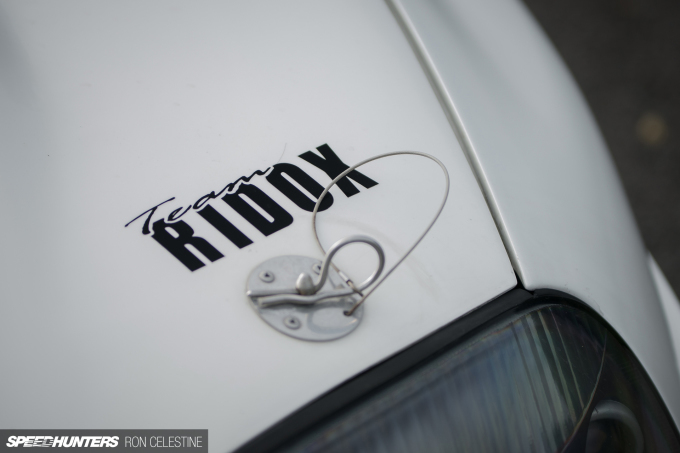 Cracking article and some great photos! 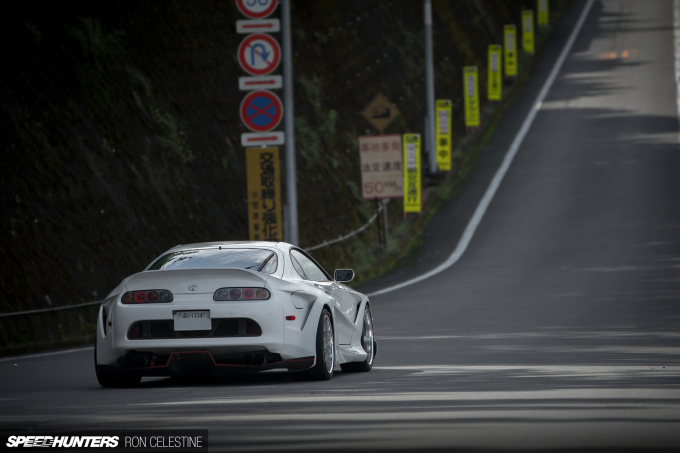 It must be awesome to have somewhere like Hakone Turnpike to go for a blast. Having said that the roads around the South West of the UK and South Wales are pretty damn good too. 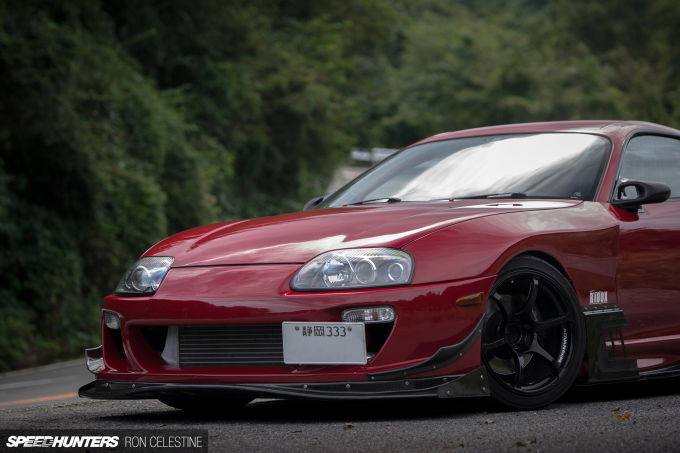 I think the Red one is my favourite, I used to own a Red mkiv and I think its by far the best colour for them, with a splash of carbon and a few tweaks here and there it's just perfection. My Uncle Austin just got a six month old Hyundai Azera Sedan just by parttime work from a macbook air. Please do a feature article on that Z33, please! Thank you!! I really appreciate it! 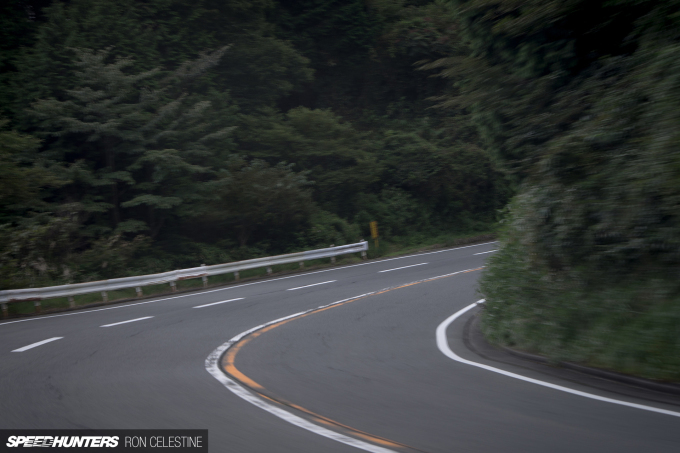 It is awesome having the Turnpike close to Tokyo. I recently got my hands on a list of some other great turnpikes so ima try and check them out as well! Ron Celestine Good luck with that. Awesome pictures also, great job! Who would dare say such foolishness lol? Does anyone know how the numbers on the license plates got covered? photoshop? 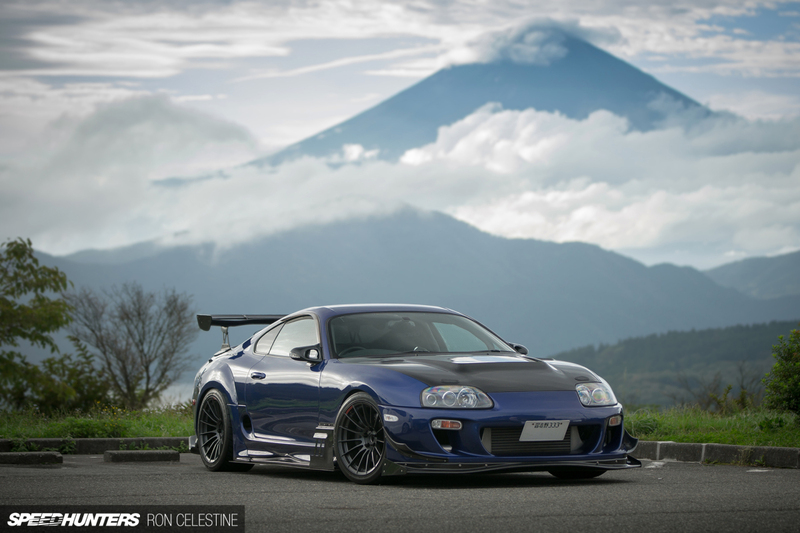 I've never really been a fan of the Supra, but those first two in particular made me seriously reevaluate my view on them! And those were some amazing shots of them as well! And a great article! 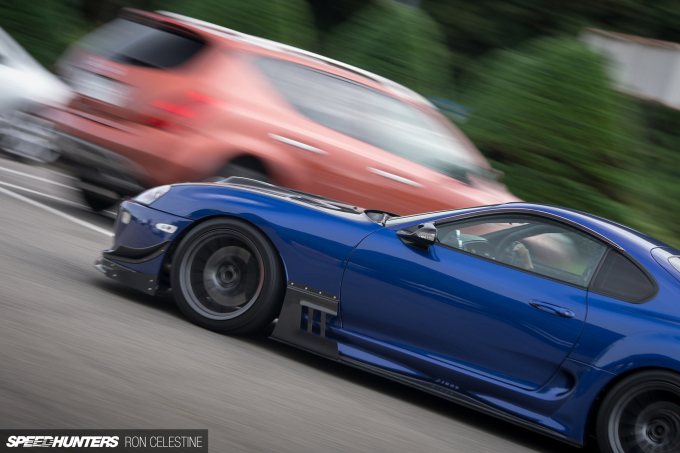 it's good to see some Z33 power once in a while.. more of them please..! 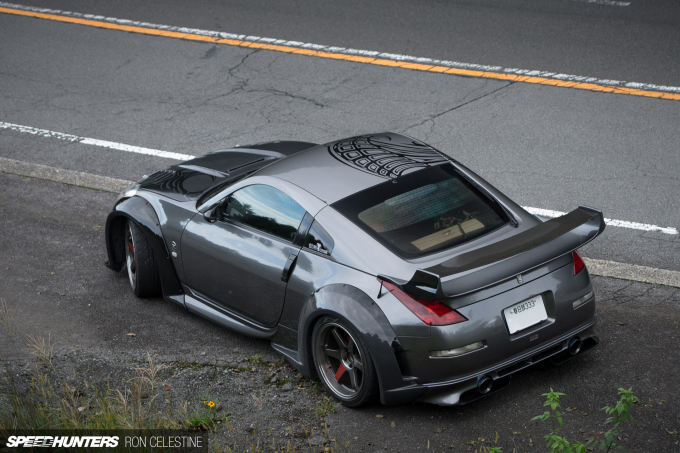 I'm sure there's plenty of beautiful Z's around.. especially in Japan! like Steve answered I am inspired that some one able to profit $7644 in 1 month on the internet . my aunt just got red BMW M3 Coupe by working part time from a home pc. what Aaron said I am amazed that a stay at home mom can make $9399 in four weeks on the internet .